Figure 5. 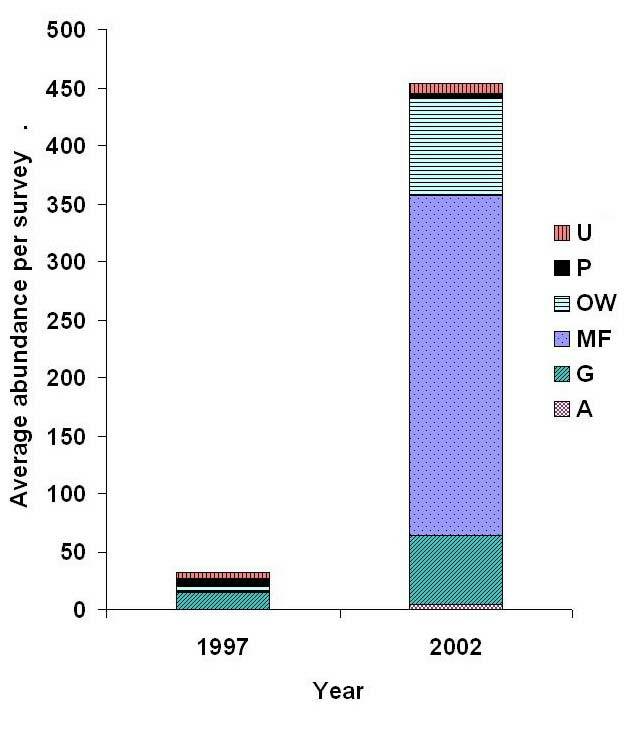 Average abundance per survey of six foraging guilds before (1997) and after (2002) restoration at Harrier Meadow. Guilds include upland foragers (U), Phragmites australis foragers (P), open-water foragers (OW), mudflat foragers (MF), generalists (G), and aerial foragers (A).